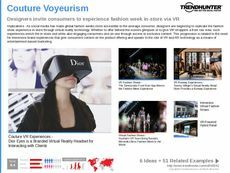 Find Better Ideas, Faster ® with a custom couture trend report, our PRO Dashboard and 80+ categories of premium trend reports. 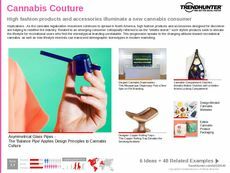 The Couture Trend Report offers expansive coverage on the latest high-fashion patterns and innovations. By using our report, users can understand how couture dresses, gowns, couture bag designs and cutting edge wedding dress concepts are being developed and marketed towards today’s fashion-savvy consumer. Our crowd-sourced research provides a wealth of information for anyone in fashion, design or marketing. The Couture Trend Report features the work of Chanel, Hermes, Dior, Givenchy and others. Whether you are an independent boutique selling couture maxi dress styles or a designer looking for high-fashion inspiration, you will find unparalleled insight with Trend Hunter’s data. 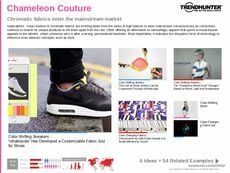 Spark innovation and track consumer trends to give your company a competitive advantage with the Couture Trend Report.